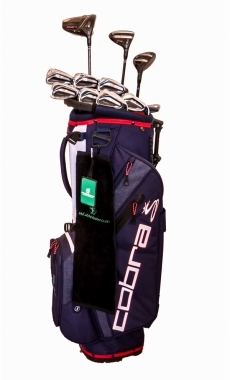 You may be very satisfied to play with your golf bag on the golf courses in your region, but the situation becomes more complicated as you get far from your house and especially when you wish to carry your bag with you on the plane to enjoy long expected golf holidays in the sun. During the last few years, since the appearance and development of “low cost” companies, most of airline companies have been obliged, to survive, to revise their generous tariff policy concerning registered baggage in the direction of progressively reducing the authorized free baggage allowance and in increasing substantially the baggage excess fees invoiced to the travelers. Conscious of this evolution and convinced that this observed trend will again accelerate in the future, the MyCaddyMaster team is wishing to offer to the European golf-trotters a new quality, simple and efficient service: renting personalized golf bags benefiting from the latest technologies and available in the airport of their favorite golf destination. The efficiency of this new service has already been demonstrated in the ski renting business which is widely spread in most of the famous ski resorts. Skiers rarely carry their skis any longer when they travel, but they are commonly used to renting their skis locally. To all of you, golf-trotters, who are not yet convinced, we kindly advise you to read the information gathered with much difficulty through endless terms and conditions issued from most airline companies concerning registered baggage, excess baggage and transport of cumbersome sport equipment. The « baggage » policy of airline companies has been changing widely for several years. Although it was usually based on the notion of baggage “weight”, this policy turns now more and more towards the notion of baggage ”piece” that you wish to register in the hold of the plane. In any case, the baggage policy becomes more and more restrictive: less baggage weight and fewer baggage pieces authorized as free baggage allowance. 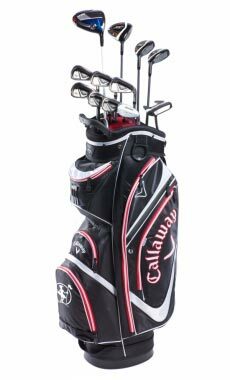 Most airline companies will accept sport equipment like golf bags, but you must know the specific guidelines and packing requirements to avoid serious troubles during your golfing travel. Tuifly No free allowance 1 baggage up to 20 kg : 65€ Golf baggage and bicycles up to a maximum weight of 20 kg can be transported for a fee of 65€ per piece, per route. How a bag is measured? A bag will be weighed and measured to ensure that it meets the dimensional requirements for shipping. Baggage is measured by length + width + height, including wheels and handle. The dimensions of each measurement are added together to compose the total number of linear inches/centimeters. The measurements for each dimension will be taken from the thickest or widest part of the bag. At times it may be necessary to travel with an item that exceeds the size or weight limitations or is in excess of the baggage allowance. Additional charges apply to this type of baggage. Baggage connecting to other airlines will also be subject to the connecting airline's excess charges and/or oversize, overweight charges. All charges are calculated on a one-way basis and are collected at the airport check-in counter. Additional, overweight and oversized baggage charges are accumulative per piece. Baggage weighing more than 70 pounds (32 kg) per piece will not be accepted as checked baggage. Customers who travel with checked baggage exceeding 62 linear inches (158 cm) (total length + width + height) will be required to pay a service charge per bag or item, based on the itinerary. These charges are in addition to any charge assessed for additional or overweight baggage. Baggage measuring more than 115 inches (292 cm) (total outside dimensions; length + width + height) will not be accepted as checked baggage. 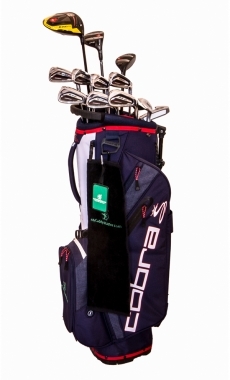 To be accepted as checked baggage, the golf equipment must be correctly encased in a suitable container, hard and resistant, to ensure a safe transport due to ordinary care in handling baggage within airports. 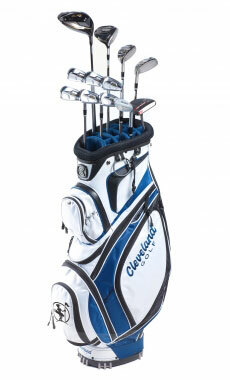 The golf bag must be covered or enclosed in a heavy, rigid carrying case. 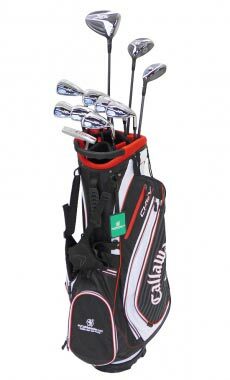 Under these conditions, golf equipment is usually considered as one baggage “piece” if it is composed of a set of clubs (maximum 14), tees and balls (maximum 12), and one pair of golf shoes. 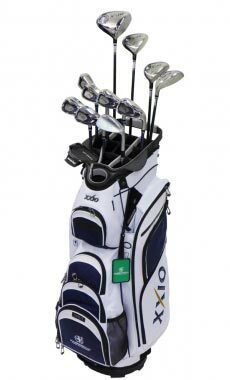 It is highly recommended for this golf equipment not to weigh more than 50 pounds (23 kg), not to measure more than 62 linear (L + l + H) inches (158 cm) and not to include other items in addition or replacing proper golf equipment. Please ensure that your name, address and telephone number appear on the inside, as well as on the outside, of all checked baggage. Check-in is often available starting several hours before your scheduled departure. Required timing for check-in, baggage check and boarding may vary based on your departure airport and destination. Do not arrive at the last minute! 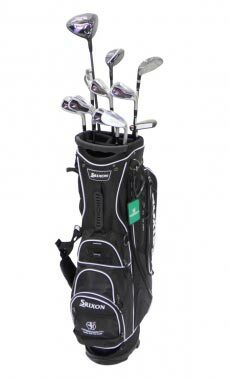 Note: All customers who check a golf bag will experience a longer delay in receiving their bag at the baggage claim due to the manner in which oversized items and sports equipment are required to be loaded, unloaded and delivered to baggage claim.